It's not just students who love the Sustained Silent Reading (SSR) time that begins each second hour. Teachers love it too. 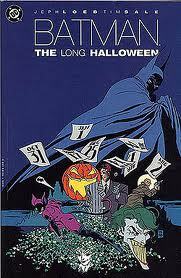 Mr. Pelini uses SSR to catch up with graphic novels like Batman, The Long Halloween. Read other teacher and student favorites here.